Kieran Larwood's latest book, Podkin One-Ear, is about a legend: a fearsome warrior rabbit whose reputation for cunning and triumph in battle has travelled the ages. It is a magically illustrated fantasy affair that everyone will love, regardless of age. To tempt you all to read it, I have asked the author a range of questions regarding the book and his writing career. I hope that you enjoy this interview and it will grab you enough to pick up this book and read it, unless you have already done so. Podkin One-Ear is out now in all good bookshops and has been published by Faber &Faber in October 2016. Tell us a little bit about yourself perhaps something not many people know. I live on the Isle of Wight where, as well as writing, I still work as a primary school teacher. I have four children and, just because my life wasn’t hectic enough, have recently adopted the world’s most annoying dog. I won the Times Children’s Fiction prize in 2011 with my first novel, and my second has just been published by Faber. Most people don’t know that my writing started accidentally– I always wanted to be a comic book artist, and I only discovered, while writing the scripts, that I actually enjoyed it more than drawing. 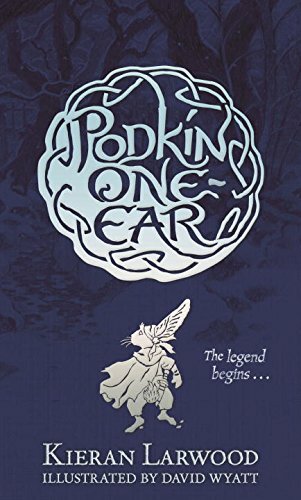 How would do you sum up Podkin One-Ear to potential readers? My favourite comparison so far is ‘Watership Down meets Game of Thrones’. It’s a children’s fantasy set in a world populated by a race of rabbits. A bard arrives at a warren in the depths of winter and begins to tell the real tale behind the legend of Podkin One-Ear: a chieftain’s son who has to fight to save his world from an evil race of armoured rabbits. 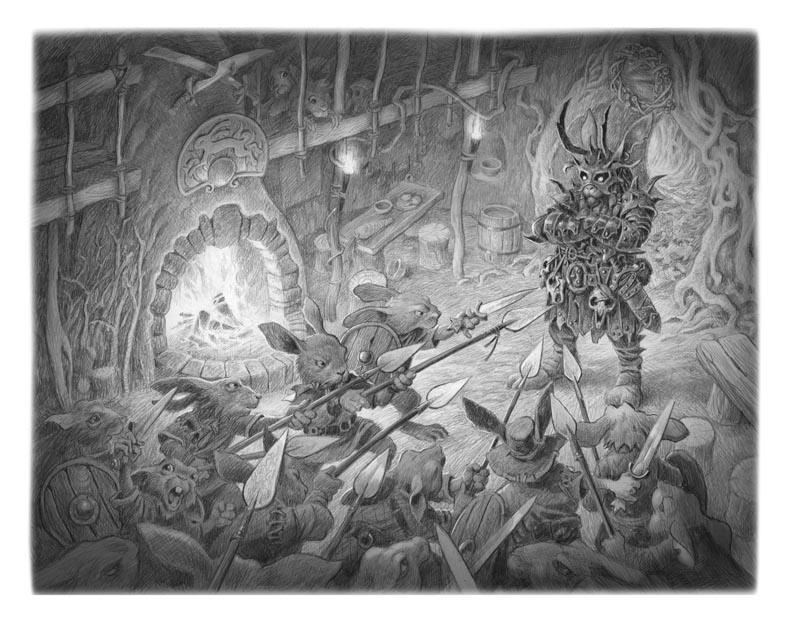 In the book Podkin One-Ear is a fearsome warrior rabbit, how did you start to bring his character to life? I wanted to explore how legends are made, and what the real people (or rabbits) would be like. So Podkin begins as a spoilt, lazy character who has to grow up very quickly. I also wanted children to be able to identify with him, so he often feels very frightened and vulnerable, but manages to overcome it when he needs to. I didn’t consciously give it a lesson, as I just wanted to focus on making it an epic story, but you could probably draw quite a few morals from it. 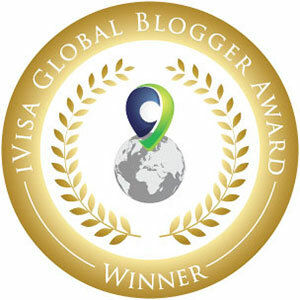 Mostly that even the smallest, most timid of us can still do amazing things if we try. That and how important your family and friends are. I didn’t have to remove very much at all, luckily, but I did change quite a few things from the first draft. Originally, Podkin’s magic dagger spoke (and was very sarcastic) and the Gorm were just a race of invading rabbits, a bit like the Vikings. I was worried about making the story too dark and scary, but my agent told me to go for it, so I did! David Wyatt has done a cracking job on the illustrations, what are your personal thoughts about these? Do you have any favourites? I literally could not be happier with David’s work. It’s like he has a telepathic link to the world in my head! 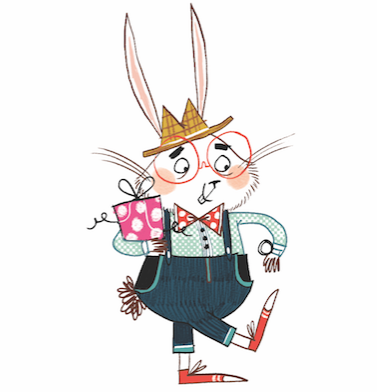 He is such an incredible artist– it’s an honour to have him illustrating my story. I love all of his pictures, but I think the scene of Boneroot, the underground beggars’ city, is my favourite. Every time I look at it, I spot a new detail I haven’t seen before. Ursula Le Guin, Steph Swainston and China Mieville. I would sit in the corner, too in awe of everyone to even speak. Definitely. At least for that first split second when it catches your eye and makes you pick it up. After that, you start flicking through and the writing takes over, but it’s the cover that first reels you in. Have you written any other books that have not been published? I did write one after Freaks and before Podkin that didn’t get taken up. It’s a Young Adult sci-fi novel that still needs a bit of work, but hopefully might see the light of day at some point.